Added on April 10, 2013 by Connor Irick. Blackened steel panels wrap the fireplace wall from floor to ceiling. Each panel was carefully book-matched to trace the natural mill-scale finish from floor to ceiling. The panels were installed with exposed machine fasteners. Added on December 1, 2012 by Connor Irick. Studio Mathews got a hold of a piece of an old school gym floor and wanted to turn it into the top of a conference table they can use in their office. We took the salvaged floor, refinished it and cut it down to a conference table length and built a blackened steel frame for it. 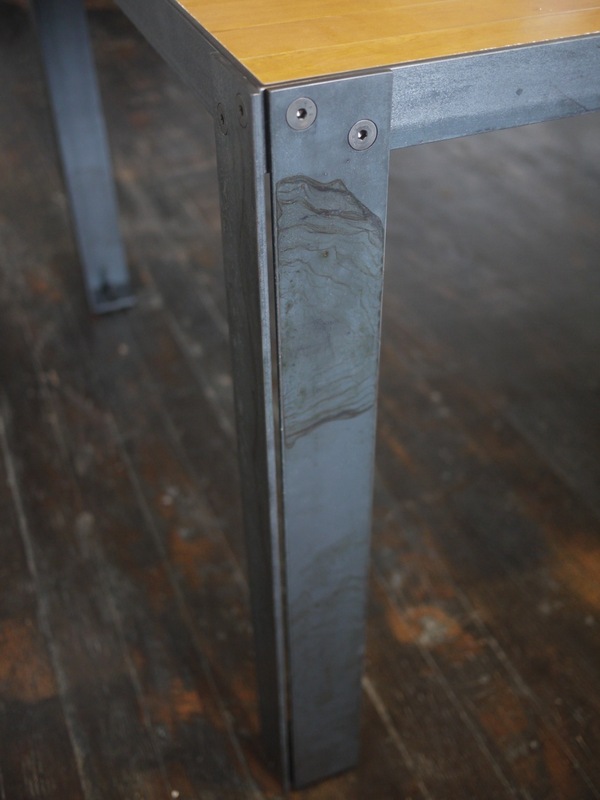 Each leg is machine fastened to the top for ease of moving the table from office to office. The office crew made quick use of it as a ping-pong table. Added on October 17, 2012 by Connor Irick. This 1/4" Aluminum Plate sign designed by Kristine Matthews at Studio Mattews has casters for mobility and stainless hardware to hold up to the the elements. Added on May 28, 2012 by Connor Irick. 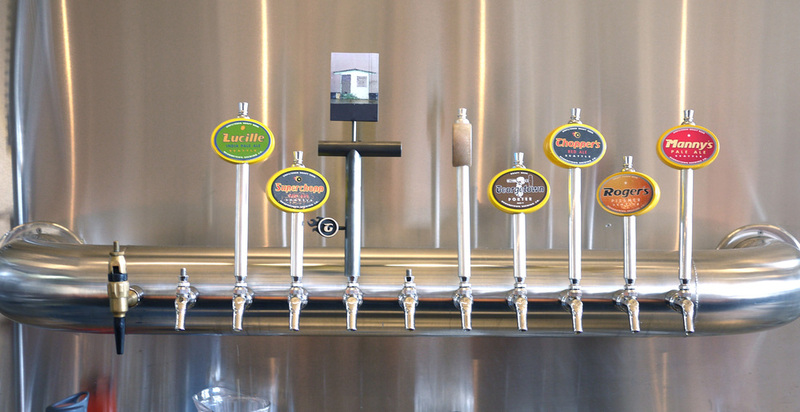 This tap handle was designed by Tom Kundig as a gift to Georgetown Brewing. 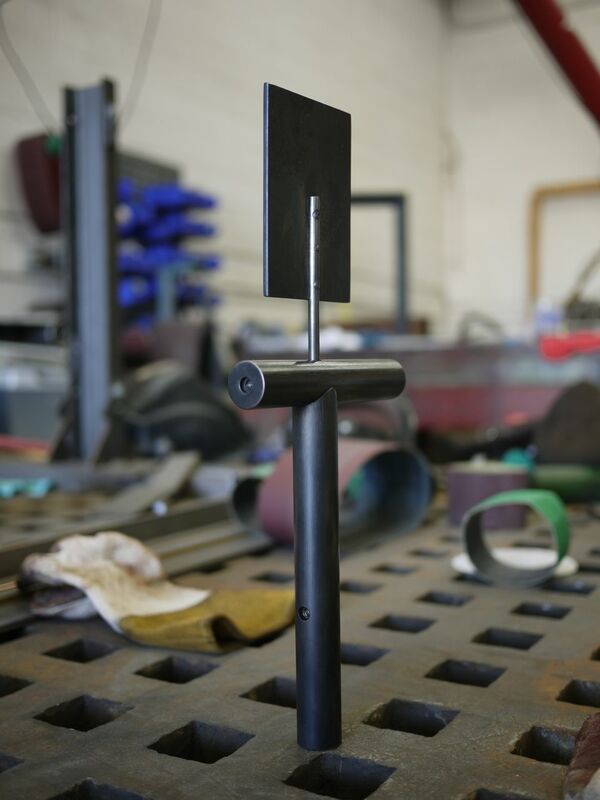 It is fabricated in blackened stainless tube. The handle has five tapped bores so that 'charms' can be added to it over time. We gave it a test run at the brewery yesterday and it pours nicely. This was a team effort. Thanks to Kiron, Tom and John for the opportunity to work on a fun project and share some delicious beer. Added on May 1, 2012 by Connor Irick.